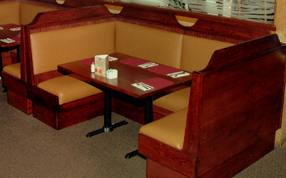 Rustic-Restaurant-Booths — Rustic Restaurant Furniture and Rustic Hospitality Furniture Designs. Crafted from Reclaimed Wood. 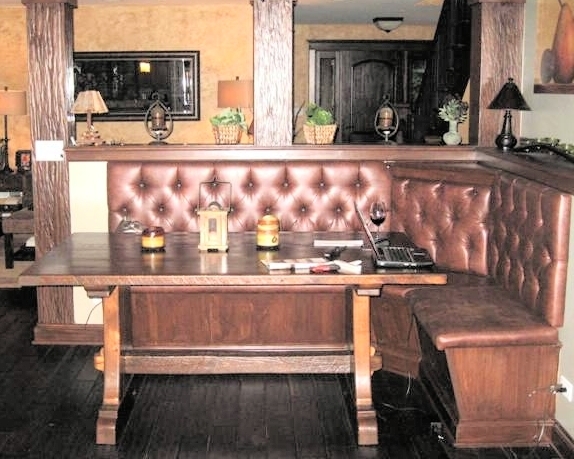 Rusticraft Furniture Designs can provide custom rustic restaurant booths in any size, style, design or wood type. 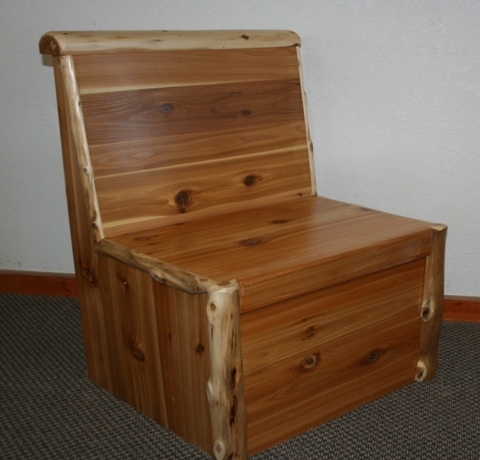 We can go with a simple design with an all wood seat, or a fancier style with upholstery. We will work with you to spec out your design ideas and create detailed sketches and cad drawings.